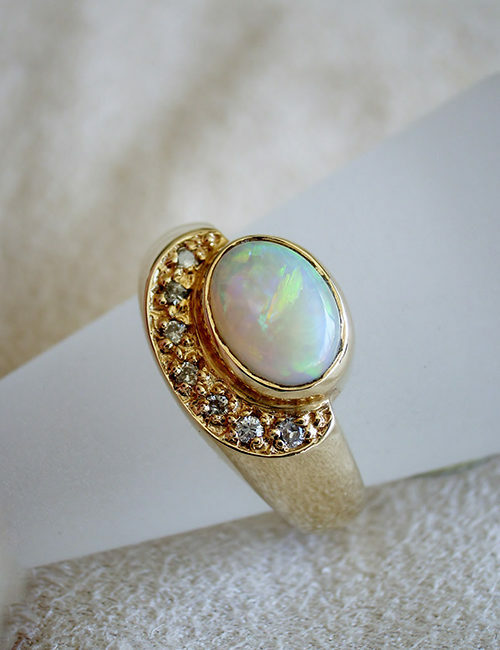 This stunning solid crystal opal is set in 18ct yellow gold with diamonds in a timeless design that captures the light showing the opal at its finest. . 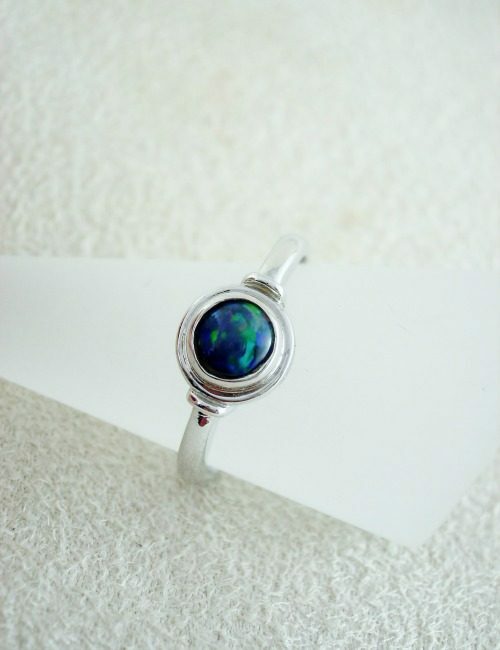 The colours of the opal are beautiful, with glowing orange red and bright green colours dancing across the translucent crystal opal. 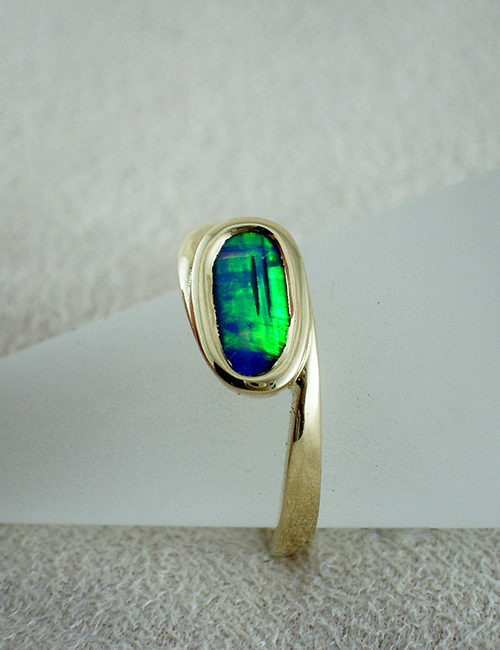 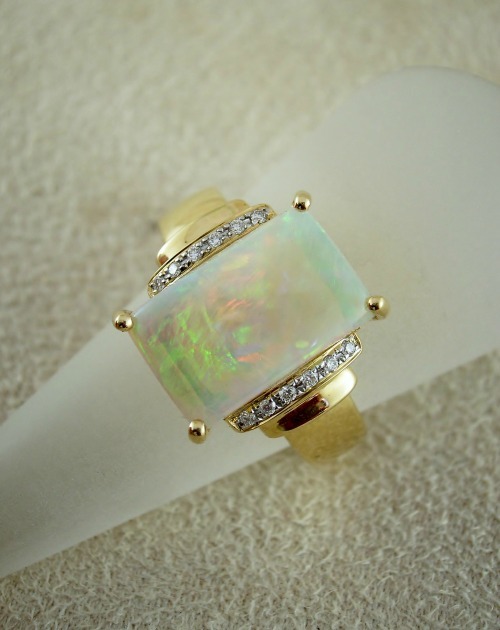 The opal measures 14mm x 8mm, the ring size is 8.